As we fight to raise awareness about breast cancer in America we need to also need to diligently pursue answers for prevention. From where I’m sitting prevention is far more appealing than the need to cure. I found this quote within the “Reducing Environmental Cancer Risk…What We Can Do Now” cancer panel report that is available to everyone FREE of charge. This report was produced by NIH for the White House in 2008-2009. Although it isn’t easy reading it is a MUST READ for every American. 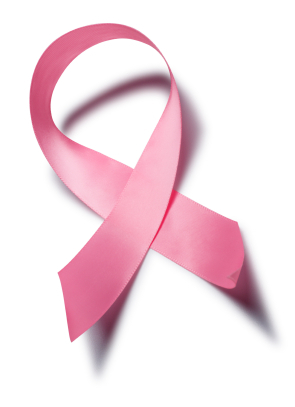 … [breast cancer] incidence has stabilized in the U.S., but it’s stabilized at one of the highest rates in the world, and as women move from lower risk regions of the world to the U.S., their incidence goes up and continues to rise over a couple of generations. So we know that that’s not genes and there’s something about industrial society that’s playing an important role. There is a whole lot that we can do to avoid exposure to things that are known to cause cancer however, since water is 70% of your body it only makes sense that it should be 70% of your attention when it comes to prevention and health. Tap water is laced with chemicals that are known to cause cancer and yet; we drink it, we shower in it and we wash our foods with it. Does that make sense to you? There’s nothing like playing Russian Roulette when it comes to exposure to cancer causing chemicals! Bottled water has enough problems of its own not the least of which is the bottle it’s stored in. The BPA in the plastic water bottles is laced with chemicals known to cause cancer and disrupt hormones and yet; we buy it by the case and we offer it to our children. If you want to get serious about avoiding things like breast cancer then you better get serious about your water!! There is a water option that is scientifically proven to be of great benefit to the human body….an unbeatable immune system booster and the healthiest and the best “anti cancer” water you can drink. Curious? I sure hope so. Otherwise just brace yourself for chemo and radiation sometime in the near future for you or someone you love. The statistics don’t lie…and neither does the science. Just by changing your water you can dramatically change your health! ← Money Stress is a Killer! Why Don’t You Turn on the Tap?